SAN BERNARDINO (July 21, 2016) –The American Red Cross serving San Bernardino County was called out to assist guests staying at the Super 8 Motel on July 21 at 11:45 p.m. when a brush fire jumped an adjacent parking lot and set the building on fire. The volunteer Disaster Action Team arrived on scene and got to work identifying the 80 residents affected by the fast-moving fire. The team worked with several nearby motels ensuring everyone affected had a safe place to stay for the evening. Red Cross Disaster Action Teams are everyday volunteers who answer the call when their neighbors are in need. If you are interested in volunteering your time and talents with the Red Cross, we’d love to have you! 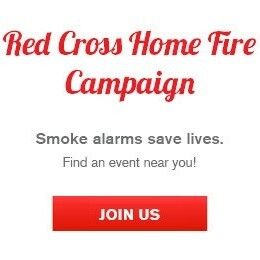 Click redcross.org/volunteer to get started.